Kricken and James Yaker clearly have a good thing going. Not only are they the brains behind Vanillawood, a full-service design/build firm responsible for some local stunners, they also happen to be in love. 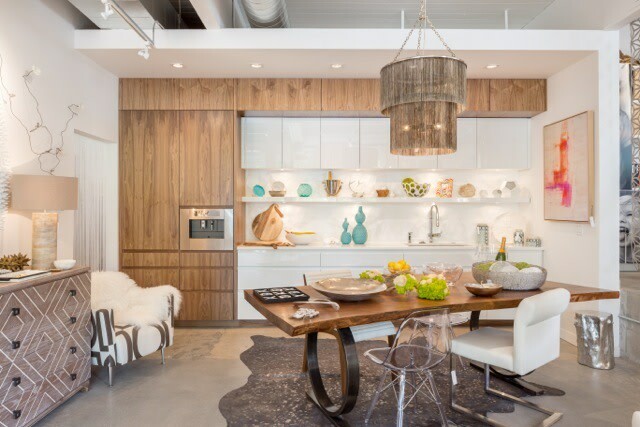 They discovered a mutual passion for design while renovating their own home, and opened Vanillawood in 2006; they've successfully outfitted aesthetically minded local homes ever since. 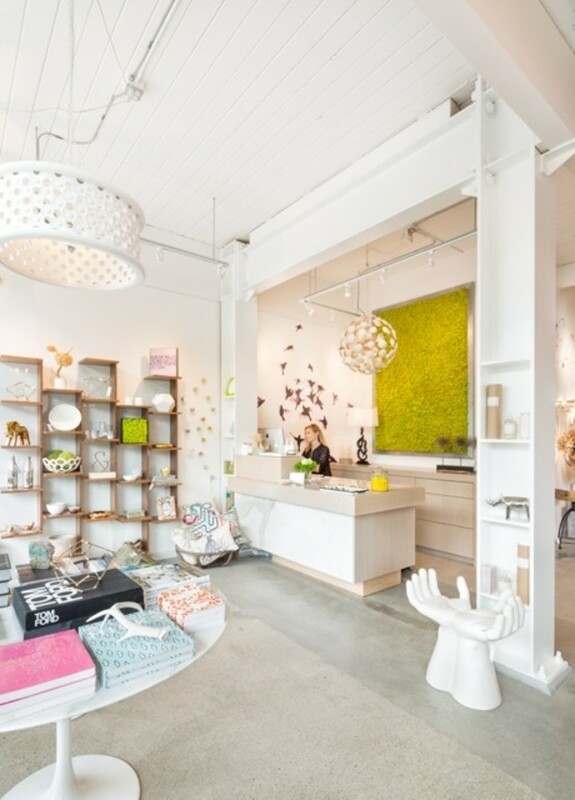 This summer the couple decided to take their talents to Lake Oswego, relocating Vanillawood’s store from NW Portland to this slice of classic upscale suburbia. 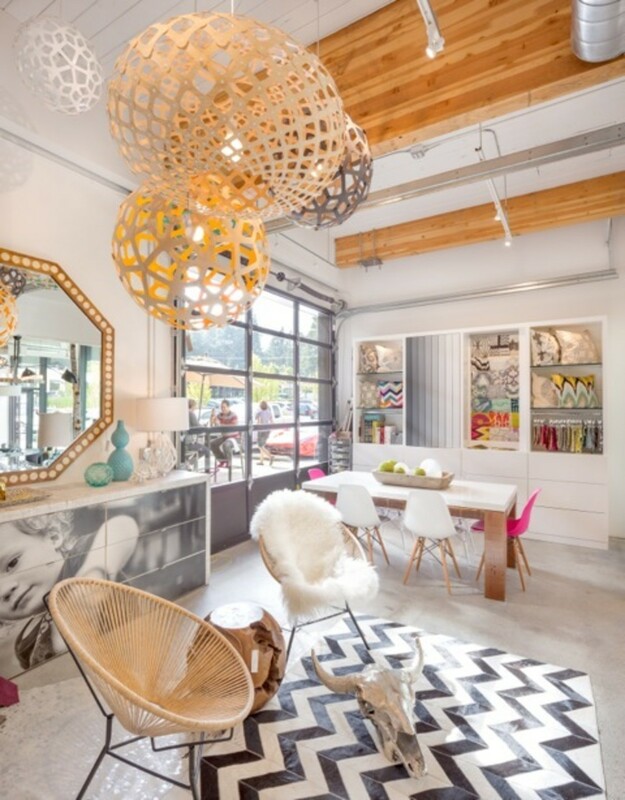 Vanillawood’s new home in Lake Oswego is drenched in sunlight due to a distinctive feature: one entire wall of this storefront is a garage door, bathing the displays in natural light. It is an airy and inviting space, equipped with dining and living room arrangements that allow customers to meander through products at their leisure. “We wanted a space that could introduce the brand in a casual, non-intimidating way” Kricken says. “You can instantly get the sense of our vibe.” Though neither Yaker has formal training in the world of design, they don’t see this as a disadvantage. “We aren’t inhibited by set rules, or concerned about mixing styles and eras,” Kricken says.